Over the years, we’ve worked with many different companies and individuals in the field of construction. Whether you’re painting your house, installing new plumbing or a whole new kitchen, these Clearwater, FL contractors come highly recommended by their own clients, and we refer our clients to them on a regular basis. In our experience with each of these service providers, we know them to be professional, courteous and fair in their pricing. Without further adieu, here is the Gulfstar Electric Clearwater, FL preferred and recommended contractors list! Please contact each contractor individually to obtain pricing and availability. 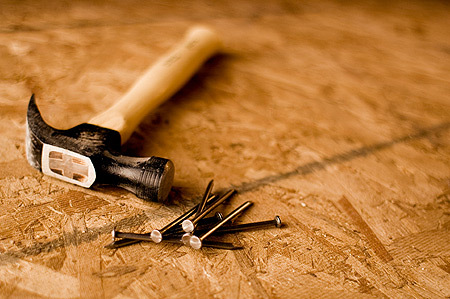 Nelson Construction & Renovations, Inc. These guys have years of experience and select the most professional tradesmen to complete each step of renovation. Owner and licensed contractor Greg Nelson is a wiz at concrete countertops in addition to everything you could ever need on a remodel project. Hall Painting Services Licensed, professional painter Oliver Hall has over a decade of experience providing top notch painting services to his clients. Hall Painting Services has personally painted my own home and is the number one Clearwater painting company we recommend. Ray Duncan Plumbing When it comes to plumbing, you don’t want to mess around. This company has been around for over 30 years and comes highly recommended by their clients and colleagues. If you’re having a plumbing issue, they’re the guys to call. Urban Kitchen & Bath Owned and operated by Jered Snelson, Urban Kitchen & Bath is known for stellar finished products. See their website for a full gallery of before and afters. O’Neil’s Tree Service We live in Florida, where storm season is pretty much all year round. O’Neil’s Tree Service is led by Certified Arborists (yes, those exist) to provide top-notch emergency tree service, tree removal, regular trimming/pruning services, etc. Ability Air and Heat Yet another Florida must-have: air conditioning. Keep their number on hand, because the last thing you want is to have your A/C unit go out during those hot summer months without the number of a competent tech to help you out. John is one of the more professional and friendly air conditioning repair and installation specialists I’ve worked with, and he even offers video tutorials for do-it-yourself A/C repairs, available on YouTube. Jennifer Lindsay Designs Jennifer Lindsay is known locally for her ability to put incredible design touches on everything from small intimate parties to room makeovers and new construction/renovations projects. She comes highly recommended for her keen aesthetic eye for design. Price Home Inspections Price Inspections offers full, comprehensive inspections prior to the purchase of a new home or for insurance purposes. His team is technically savvy and offers electronic reporting and digital images as well as a hard copy of your inspection before leaving the property – now that’s prompt service! Looking for a Clearwater Electrician? Call Gulfstar Electric, serving Clearwater, FL as well as Dunedin, Palm Harbor and all of Pinellas County! For fast and friendly service, contact us by telephone at 727-755-1805, by email at info@gulfstarelectric.com, or by filling out this form.